The Canadian Maritime Force has four Victoria class diesel-electric submarines, formerly Upholder Class submarines of the UK Royal Navy. OTTAWA – Navy engineers have decided not to install a central monitoring system to track air quality on board Canada’s oft-maligned submarine fleet, internal National Defence documents say. It’s a move that’s being questioned by some former submariners. The system was part of the military’s 13-year struggle to bring the four British-built second-hand boats in line with North American standards and convert certain fixtures for Canadian use. Keeping the right balance of oxygen and carbon dioxide is crucial on board the submarines, which are required to remain submerged for extended periods of time, making air quality a particular concern for technicians. In 2002, engineers initially proposed installing a ship-wide atmospheric monitoring system, but a series of internal documents show that more than 10 years later, the plan has been abandoned. “Such a system is unlikely to be practical, requiring installation during the (extended deep work period),” said a briefing note to the navy’s director of maritime force development on Oct. 19, 2011. Including the system raised the potential of derailing the navy’s plan to bring the submarines into full operational service. The briefing, obtained by The Canadian Press under access to information laws, estimated installing the system would have pushed the initial roll-out of the boats to 2018 with the last touches — known as final operating capability — not achievable until 2025. By that time, the submarines would be near the end of their lifespan. “The current intent is to consider portable devices, which are expected to address the requirement in a reasonable amount of time and cost less than $5 million,” said the note, which evaluated the entire submarine life support project. A navy spokesman confirmed the “fixes” to the air monitoring system are being implemented through a minor capital project and that there is no health and safety concern. “The air standard on board meets established standards,” Navy Lt. Mark Fifield said in a recent email. Former submarine captain Ray Hunt said he’s startled by the decision, because portable monitors were something the navy relied upon in its now-retired Oberon class submarines. “I’m surprised at this day in age that we don’t have a more modern system,” said Hunt, who commanded three submarines during his 27-year naval career, including HMCS Okanagan. He also commanded the country’s entire submarine squadron in the 1980s. He said carbon dioxide poisoning is an ever-present threat that can leave sailors dizzy and sick. A modern air filtration system was supposed to be one of the major advantages of upgrading to the Victoria class, Hunt added. But a defence analyst said the navy would not be taking short cuts on safety, especially in the wake of a fatal fire aboard HMCS Chicoutimi in 2004. Eric Lerhe, a former commodore, said it was curious that engineers took more than a decade to figure out the proposal was impractical, but he hailed as laudable the goal of seeking the very best air quality standard. 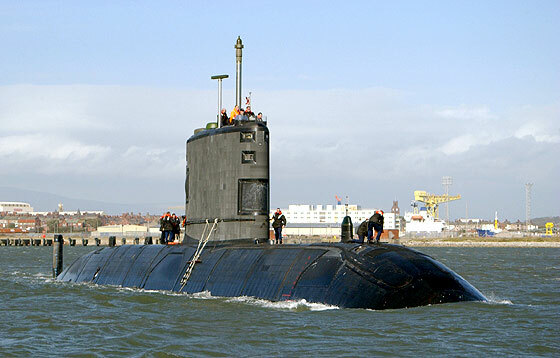 It’s been 14 years since the purchase of the submarines was first announced, and the pressure to get them fully operational has been enormous, said Lerhe, who served on the defence planning team that convinced the Liberal government of Jean Chretien to buy the boats. “The navy very clearly wants to demonstrate these boats are operationally capable,” Lerhe said. HMCS Victoria was declared fully operational when it fired its first torpedoes and sank a decommissioned US Navy cargo ship in an exercise last summer. Last fall, HMCS Windsor passed a critical dive test on the road to being declared completely ready. Both the Chicoutimi and HMCS Corner Brook remain in extended maintenance. Almost a year ago, the head of the navy estimated that once fully underway, Canada could the sail the existing submarine fleet until 2030. But internal briefing documents show navy planners started laying the groundwork for their replacement last year with a study on what kind of boats and technology would be needed after 2020. This entry was posted in The world's submarines and tagged Canada, Upholder class, Victoria class on January 26, 2013 by jasonlockley. Your editorial cartoon in the Jan. 30 edition refers to the air quality monitoring systems for Canada’s problem-plagued submarines. Firstly, let me address the “problem-plagued” comment. This overused and demeaning description of our submarines is no longer applicable. Our navy has worked extremely hard to get these problems ironed out. The result is that HMCS Victoria, our city’s submarine, is now fully operational. Last year, she performed extremely well in RIMPAC exercises held out of Pearl Harbour. The culmination of this performance was the successful firing of a MK 48 torpedo which sunk an obsolete ship and demonstrated our boat’s potent capability. Our other three submarines will attain this capability in the near future. Secondly, a high-tech central air quality monitoring system is a nice system to have. It is certainly not essential, as our boats have portable systems capable of monitoring air quality, including the levels of carbon dioxide and oxygen. If these levels get outside the laid-down parameters, the boat has equipment that can reduce the level of CO2 or produce oxygen. I believe it is time to report on the positive accomplishments of our submarines and submariners. They deserve it.